Western Areas Ltd (ASX:WSA) (TSE:WSA) is Australia's class leading nickel producer, with high grade nickel production assets in Australia and base metals development projects across Australia, Canada and Finland. Headquartered in Perth, Western Australia, Western Areas is listed on the Australian Securities Exchange (ASX) under the ticker symbol "WSA". Production is built around two of the highest grade underground nickel mines in the world, Flying Fox and Spotted Quoll, both within Western Area's Forrestania project area in Western Australia. 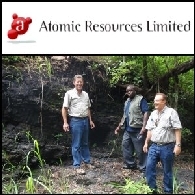 The high grade nature of these two mines, coupled with a consistent track record of meeting production targets, produce significant operating margins.